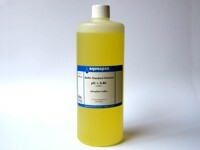 For the calibration of pH-testers and pH-meters. These standards are made from analytical grade materials. 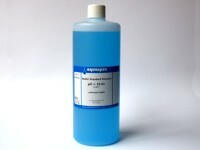 Carbonate buffer according to NIST, colour coded blue, pH = 10.01 @ 25°C. 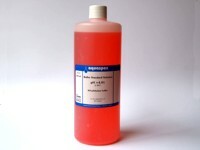 Potassium phthalate buffer according to NIST, colour coded red, pH = 4.01 @ 25°C. Phosphate buffer according to NIST, colour coded yellow, pH = 6.86 @ 25°C. 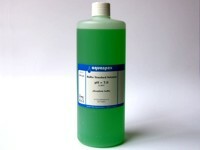 Phosphate buffer, colour coded green, pH = 7.00 @ 25°C. 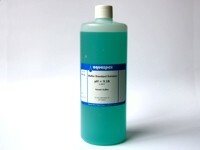 Borate buffer according to NIST, colour coded turquoise, pH = 9.18 @ 25°C.